Below are some of things we consider standard with our aquariums. Some companies may charge extra for some of these options, but are standard with all aquariums ordered from Midwest Custom Aquarium. If you would like to omit any of these or want something different, please make sure to mention it when going over the details of your order. Access holes in the top will have a radius in the corners. Openings that have sharp corners without a radius create a stress point in those corners which is susceptible to cracks. The radius is stronger and will distribute stresses more evenly. We keep service in mind as well. 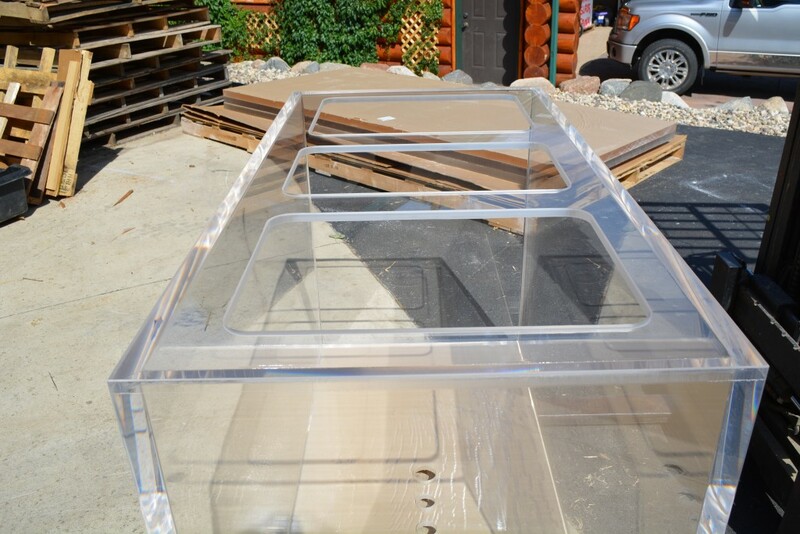 Openings are cut large enough to make access to the aquarium easy, while at the same time leaving enough bracing to give the tank the strength the top is designed to do. 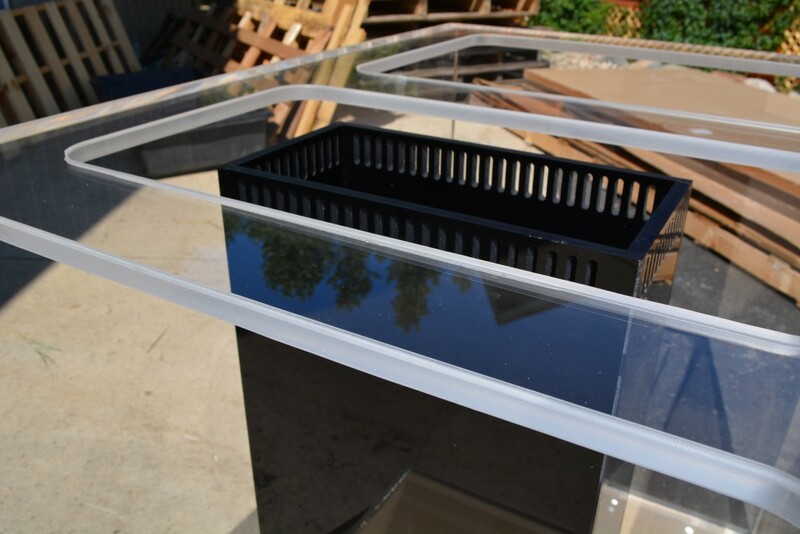 We include at no charge the drain and return bulkheads with our aquariums. They are the standard schedule 40 black bulkheads. They will be slip X slip and will accept standard PVC pipe which can be glued with regular PVC cement. 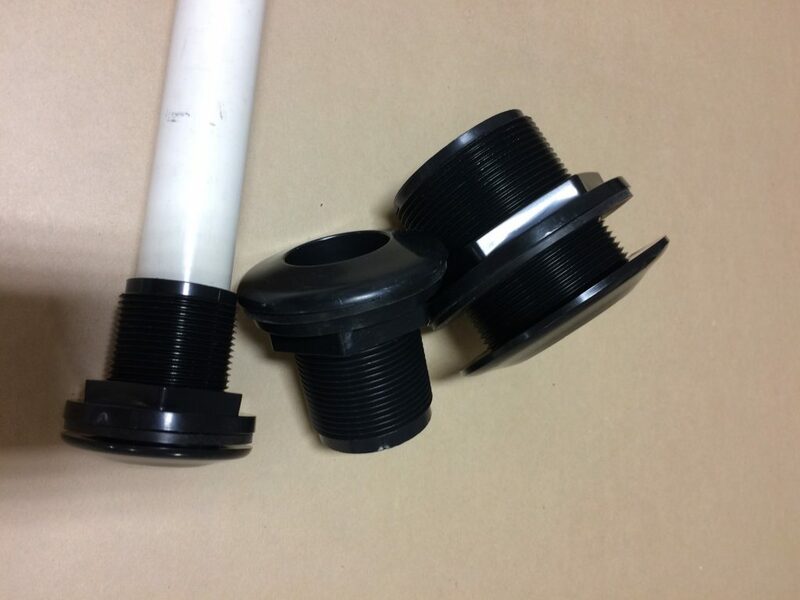 Your plumbing will glue to the inside of these fittings. The returns can come through the top of the overflow, or can be placed anywhere on the top bracing of the tank. 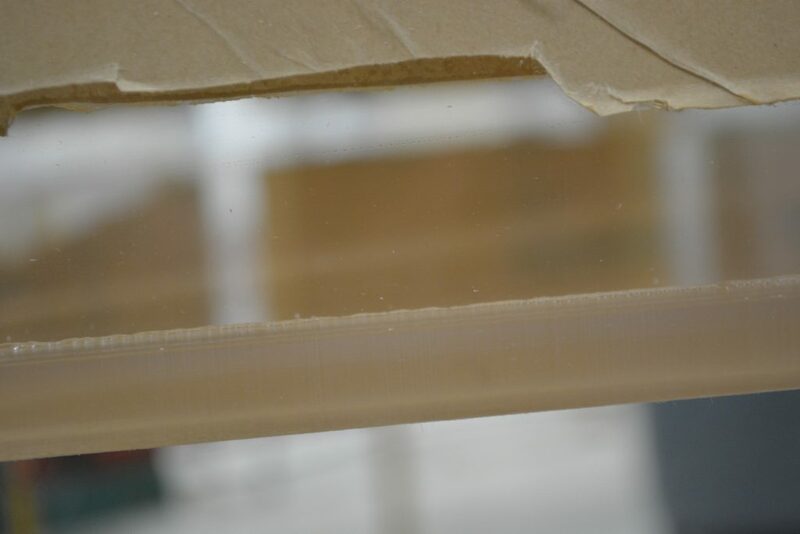 The vertical corners on our overflows are also radiused over to eliminate the sharp edge. This is more appealing visually and eliminates sharp corners inside the aquarium which may be harmful to the aquarium inhabitants and anybody servicing it. 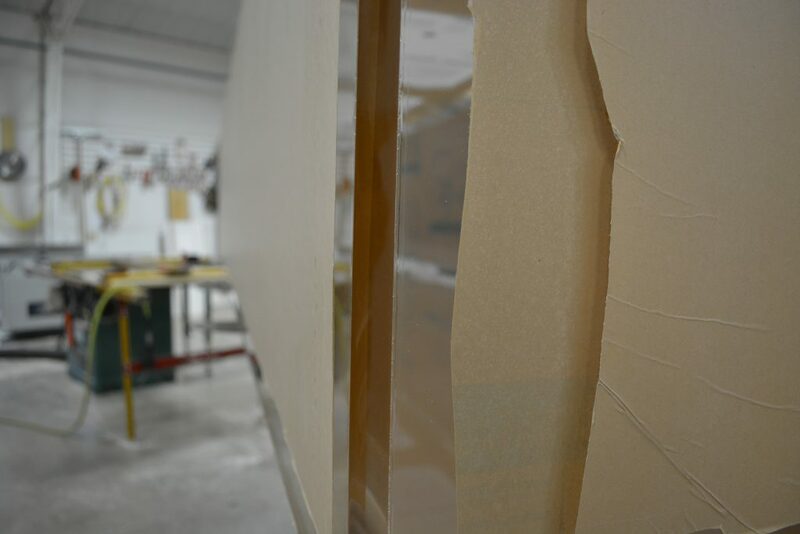 The vertical seams of the tank that are seen will be polished. They are hand polished, not flame polished. Flame polishing is not good for the tank and often leads to crazing. 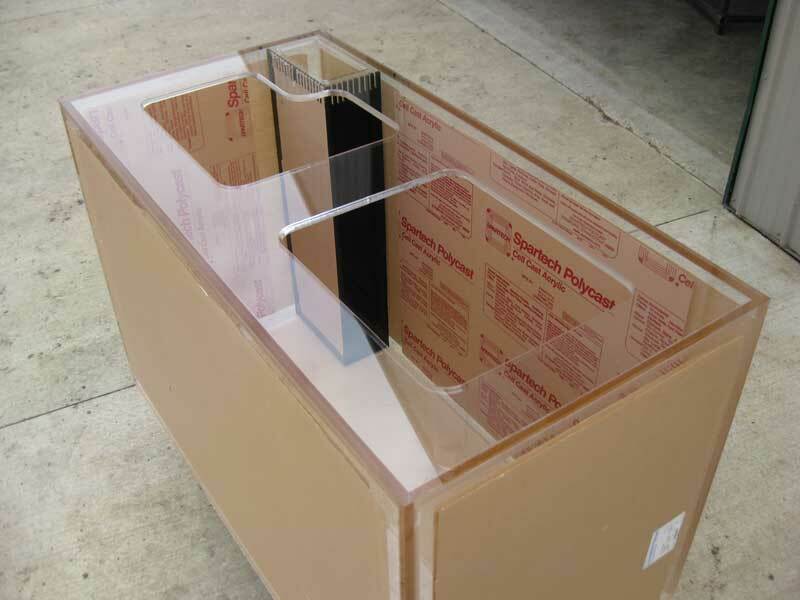 Since the top and bottom edges of the tank are normally covered by cabinetry, they are left unpolished as seen in the picture. 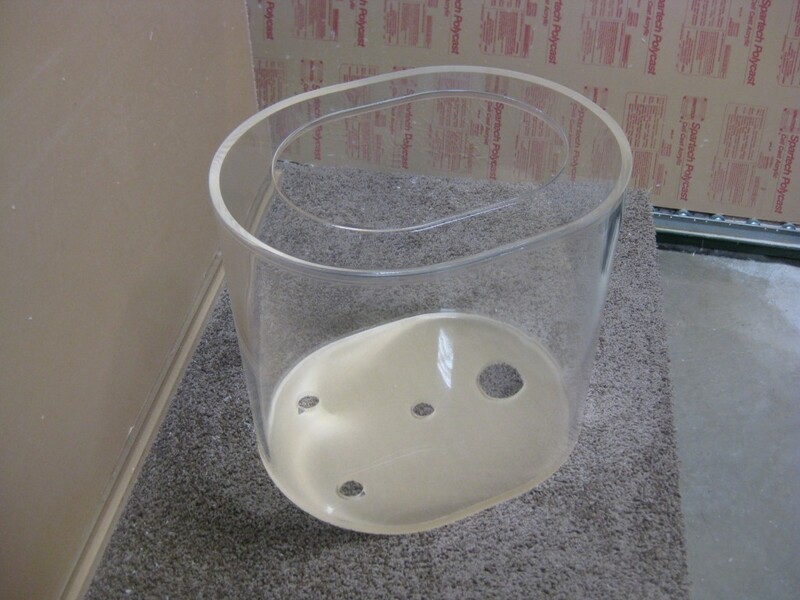 If doing an open top tank, the top seam can be polished at additional charge. From day one we have never charged to package up most of our products and don’t plan to start any time soon. Many others charge to crate things up, and it isn’t a low fee. We don’t figure the associated costs into the price of the tank; we simply don’t charge for it. We ship a lot and have good shipping rates with freight carriers, so we are able to get your tank to you at a manageable price.